A positive relationship can change a child’s life. Connecting Generations makes positive relationships happen. Connecting Generations reaches over 4,400 Delaware students each year through programs we deliver & support. One-to-one, school-based mentoring with a wide reach. Connecting Generations was created in 1990 by Robert A. Kasey, Jr., a retired DuPont executive who wanted to bring caring adults into the lives of young people. What started as a handful of mentors at a single school, has grown into a state-wide program that supports 1800 students at 94 schools throughout Delaware, including programs using high school students as mentors. Our training and support programs are research- and evidence based and are increasingly efficient and effective: we are training more mentors and supporting more programs on fewer dollars. Character-building workshops that address critical needs. By actively participating in interactive and engaging group sessions, children learn how giving respect creates a safe learning environment that can lead to improved self-esteem, confidence, and academic success. Seasons of Respect has several components: our in-school workshop series for 4th, 5th and 7th grades; our Respect through the Arts after-school program and our new Character Climb Peer Helping program. These character education programs support efforts to improve school climate, enhance the Positive Behavior Support Programs (PBS) in schools, and assist schools in addressing Delaware’s anti bullying laws. Since piloted in 2006, the program has served over 22,000 students in 60 public schools throughout Delaware. Business partners generously agree to support their employees who would like to mentor in local schools by allowing them to leave work for one hour a week (either paid or unpaid). In exchange, they get more loyal and satisfied employees who appreciate their employers’ support and they support the communities in which they work. For more information on how this works, contact executive director Brian Gaerity at 302-656-2122 x 11 or by email. Delaware students need additional support in school. In the 2014-15 school year, 35% of Delaware’s public school students were from low-income homes. That’s more than 47,000 students! In addition to poverty induced stresses, many of these students (as well those from higher income households) experience adverse home conditions such as substance abuse, family instability, severe health crises, and neglect. We know these children need additional help to stay on grade-level and succeed in school. Most schools don’t have the resources to provide one-on-one support or focus on character development and noncognitive skills. By partnering with schools, other nonprofits, and businesses, we can help students break the cycle of adversity and find success in school and life. Our mission is to help children become emotionally strong, resilient, and socially competent individuals who can succeed in school and life. 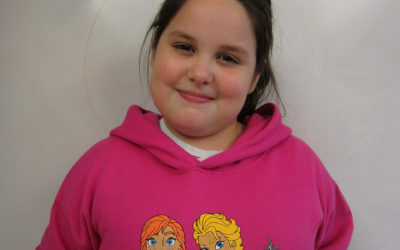 Did you know that 3,100 students completed workshops on positive behavior, bullying prevention, and conflict resolution? Over 4,400 Delaware students are reached each year through programs we deliver and/or support. Join our mailing list keep up with our latest news, events, and success stories! Programs grounded in research and evidence. 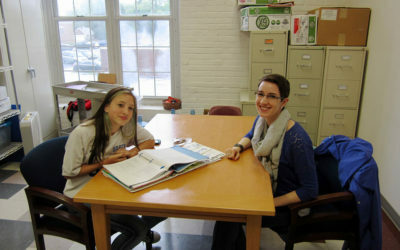 Our mentoring and character-building programs are based on a large body of research that shows: 1) students experiencing adversity need additional supports in school, 2) noncognitive skills such as self-control and responsible decision-making are necessary for academic achievement, 3) students experiencing adversity benefit from programs that focus on the development of social-emotional skills. © 2016 Connecting Generations. All rights reserved. Website designed by teakettica.